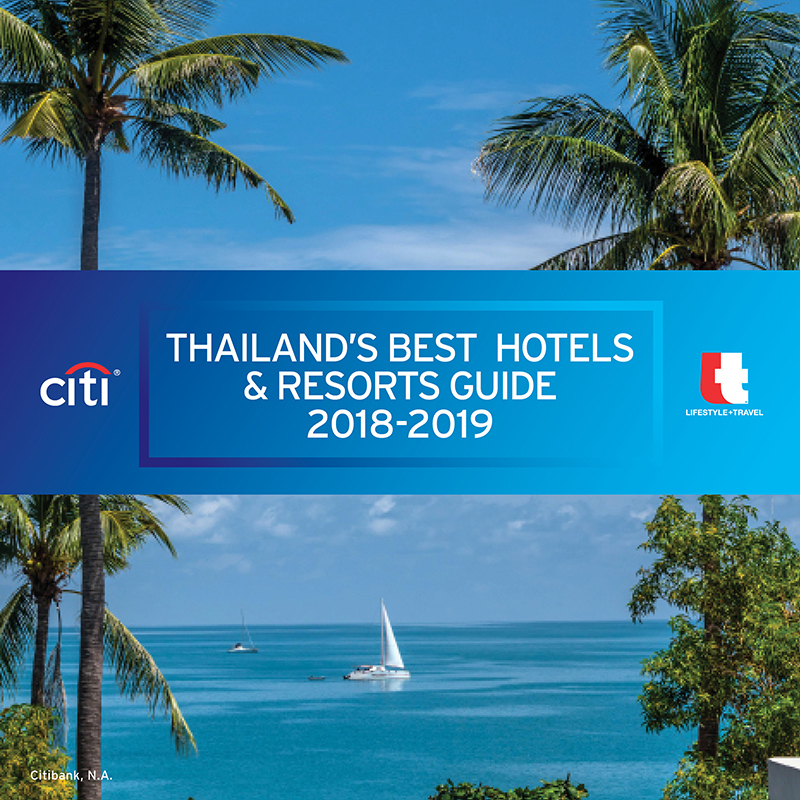 Escape the summer heat and experience the Thai New Year Songkran festival with traditional celebrations and a feast of Thai. 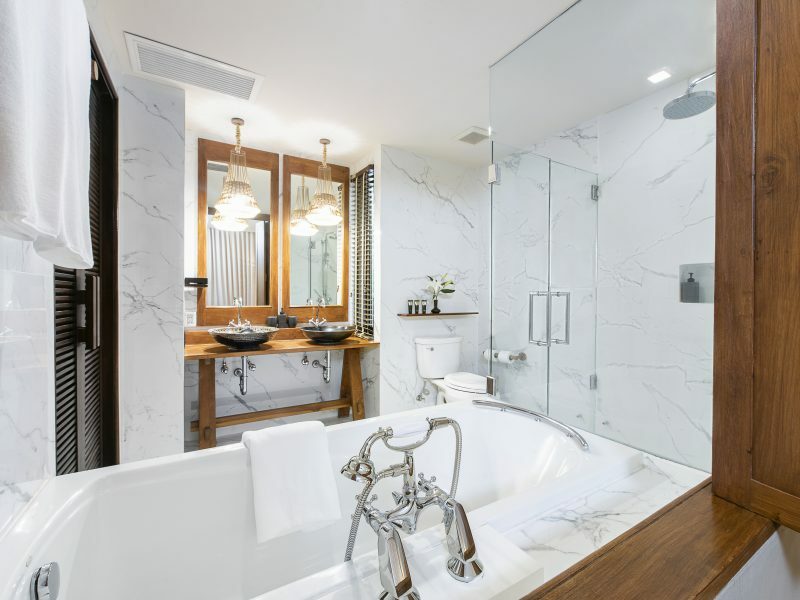 Here are 4 places to celebrate the Songkran festival. Join the parade around our Beach Wing Pool where the celebration begins, with traditional water-pouring and then a fun all-out splash fest with friends and family. Come to enjoy live entertainment and traditional Thai dancing performances while feasting on a delicious Thai and barbeque buffet. 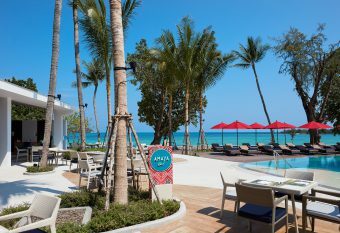 The Songkran buffet dinner is at 950 THB net per person including your choice of a glass of wine or local beer. Children under six dine free of charge and kids from age 6 to 11 enjoy half price. Enjoy the traditional taste of Songkran with ‘Khao Chae’ during lunch at The Square, Novotel Bangkok on Siam Square., ‘Khao Chae’ is a refreshing must-try dish during the Songkran period. 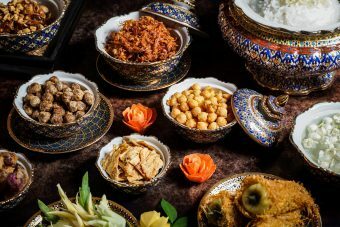 Along with ‘Khao Chae’, enjoy western and eastern dishes along with an assortment of desserts, fresh fruit and free flow soft drinks. 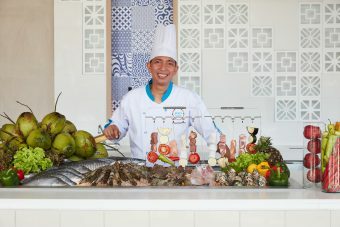 International Buffet Lunch is available during April 6 – 16 on Monday – Saturday from 12.00 – 14.30 hrs. 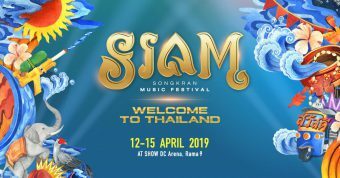 The newest four-day Songkran music festival is set to be held on 12 – 15 April, 2019 at the SHOW DC Arena. 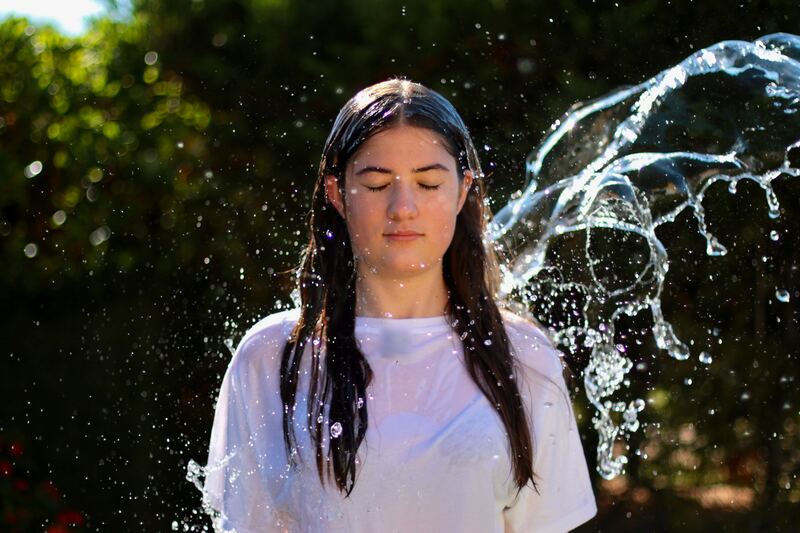 Siam Songkran is set to blend Thai and Western cultures with a packed music and entertainment programme and the largest water fight in Bangkok. 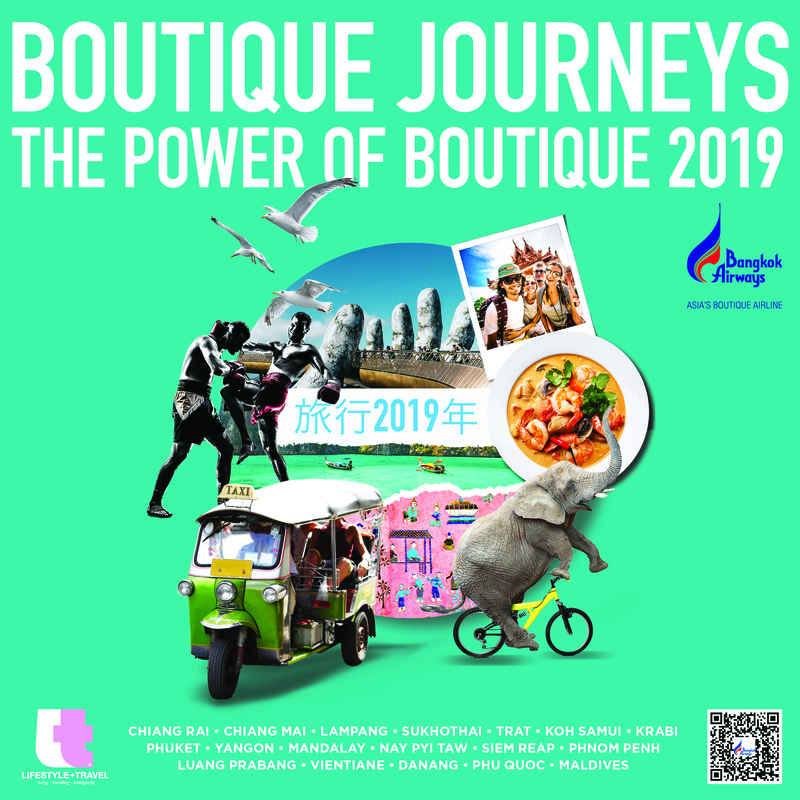 Held over four days with four outdoor zones and two huge stages showcasing live music from top Thai performers, as well as talent from around Asia. Tickets can be purchased online at www.siamsongkran.com and range from 1,500THB for a single day pass, to 6,400THB for a VIP 4 Day Pass. VVIP Packages range from 100,000THB (for 6 pax) to 385,000THB, the first festival pack with pool suite. 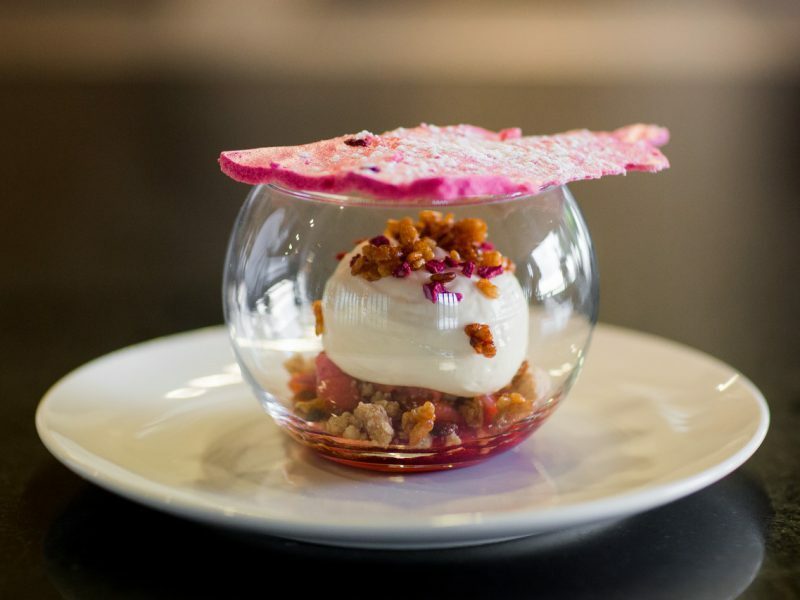 From 1 – 30 April 2019 – come and stay cool with this Thai specialty at Mandarin Oriental, Bangkok. 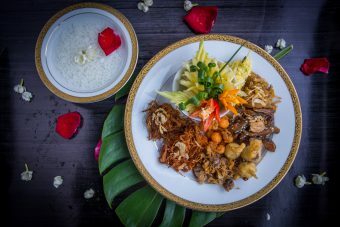 Enjoy the delicious sweetness of the jasmine scented water on the palette, coupled by the sharp flavours of fried sweet peppers, battered salted eggs, stuffed shallots, fried shrimp paste, sweet fish, salty beef and pickled vegetables and fruits. Airbnb and the Louvre today announced that the museum will be transformed into a magical Home for one night. For the first time ever, passionate art-lovers will have the chance to cosy up to priceless masterpieces, including the Mona Lisa, and sleep under the Louvre’s iconic glass Pyramid in a “mini-pyramid” that will be specially designed to celebrate the building’s 30th anniversary. A night in the Museum For one night only, on April 30, Airbnb and the Louvre are giving a lucky winner and their guest a once-in-a-lifetime opportunity to see what happens inside the world’s most magical museum when the lights go out. As the sun sets on Paris, the winning duo will make their way to the museum where they will be greeted by an art-historian, who will take them on a bespoke tour, like those previously given to the Obamas, Beyoncé and Jay-Z. Once they have discovered the museum’s wonders, the duo will enjoy their Home for the night in the presence of some truly legendary hosts: they will toast the Mona Lisa with a cosy Renaissance inspired aperitif, while relaxing on a sumptuous Parisian lounge sofa, listening to the atmospheric sounds of French music on vinyl records. Venus of Milo, the Greek goddess of love and beauty, will then “host” an extravagant feast in a pop up dining room. And lastly, guests will be treated to an intimate acoustic concert in Napoleon III’s lavish Apartments. At the end of this very special evening, the winners will retire to their bedroom under the Pyramid for what promises to be a masterpiece of a sleepover. 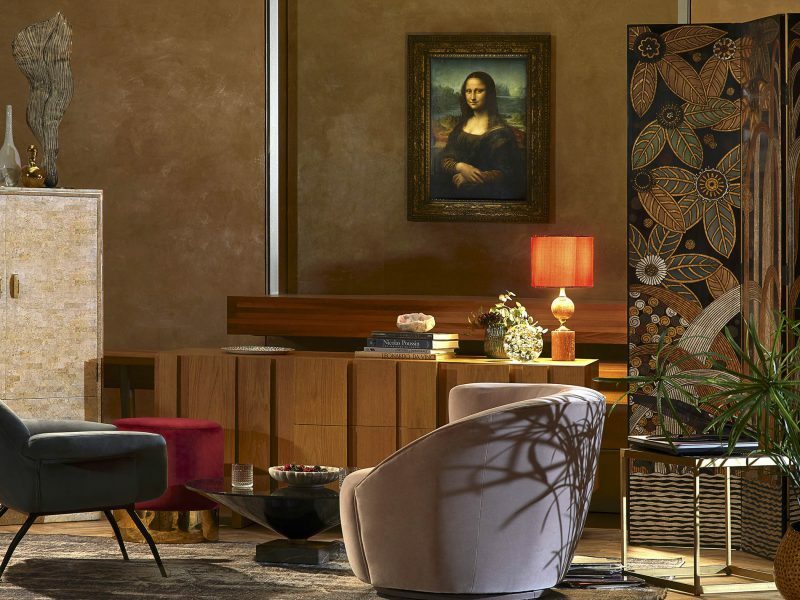 Exclusive Airbnb Experiences Airbnb’s partnership with the Louvre extends beyond the lucky winner of the contest and their guest; from May until the end of the year, a series of exceptional Experiences at the museum will be bookable on the Airbnb platform. These Experiences, the programming of which will be revealed in the coming weeks, will give everyone the opportunity to rediscover the most famous museum in the world from a totally new angle, with exclusive visits and intimate concerts. How to participate? To enter, simply go to airbnb.com/louvre before April 12 at 23h59 (French time - GMT+1) and answer this question: why would you be the Mona Lisa's perfect guest? One winner will be selected. All terms and conditions of the contest are available on airbnb.com/louvre.